Christmas is fast approaching! The more organised have crossed off lists, the semi-organised have started writing lists and everyone else is definitely considering thinking about lists …soon …maybe. For many, Christmas plans are predictable. Traditions have been well established and you know where you’ll be for each part of the day (or 3 days), who will be part of each gathering and what the general format of each occasion will be. For others, Christmas represents looming fear. Plans are unconfirmed. Perhaps circumstances have changed since last year – a divorce, death, you (or others) have moved, work situations have changed, family life has shifted – and so you’re not really sure what it will look like. If you know someone who is alone NOW is the time to check they have a place to go and people to be with. Now is the time when the pending loneliness might be starting to niggle at their hearts and their peace. Now is the time they might be wondering if they ought to prepare for a quiet day alone. So NOW is the time to extend the invitation. A simple “what are your plans for Christmas Day?” will reveal those without any. And a follow up to be included in a specific aspect of your plans will, at the very least, have them know that if they spend the day alone it will be by choice and not by force. Celebration days can be difficult for Singles or those living far from or without extended family. “Everyone” talks of busy, tired, full and fun times that can contrast sharply with some people’s experience and that is part of the feeling of loneliness. My friend posted this on FaceBook today and I love it. Who are you spending Christmas with? Who could you check in with? 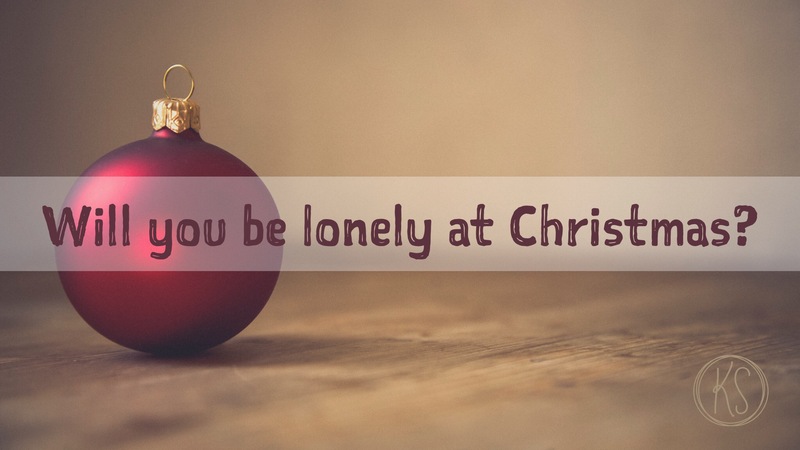 To whom might you extend an invitation to ensure they’re not lonely this Christmas? If your Christmas was anything like mine, the presents were piled high and the whole lounge room was strewn with wrapping paper by then end. There were no doubt a few hits and misses with the giving and receiving of gifts, but hopefully the spirit of giving and gratitude was strong in your family gatherings over the past few days. New clothes, new toys, new décor items and beauty products, tickets and vouchers, gadgets and goodies … most likely you have found yourself with quite a stash after you’ve exchanged gifts with friends and family. It’s such a blessing to be on the receiving end of other people’s generosity! The reality is that most of us already have more than we need – and certainly more than lots of other people have – and that has just become even more so with the addition of your latest things. The truth is that we generally don’t wear all the clothes we have in our wardrobe or play with every toy in the toy box already – there is only so much time and our interest and capacity are limited too. Perhaps something you could do as a family is set about “making room” for your new things by selecting some old things to pass along. You might send clothes or toys to a good will organisation – or perhaps you know families through your church or school community who could benefit directly. Maybe you would have a garage sale or take out a stall at a car boot sale to sell your ‘excess’ goods – the money could go toward something more substantial that’s being saved for or even given to a charity. It’s a great conversation to have with your children – for them to consider how fortunate they are and get a better perspective on how much they really do have. One of the ‘outcomes’ of fostering an attitude of gratitude is generosity. When we truly appreciate all we are blessed with we are keen to bless others from all we are given. Have you done something like this before? How have you processed it with your family?